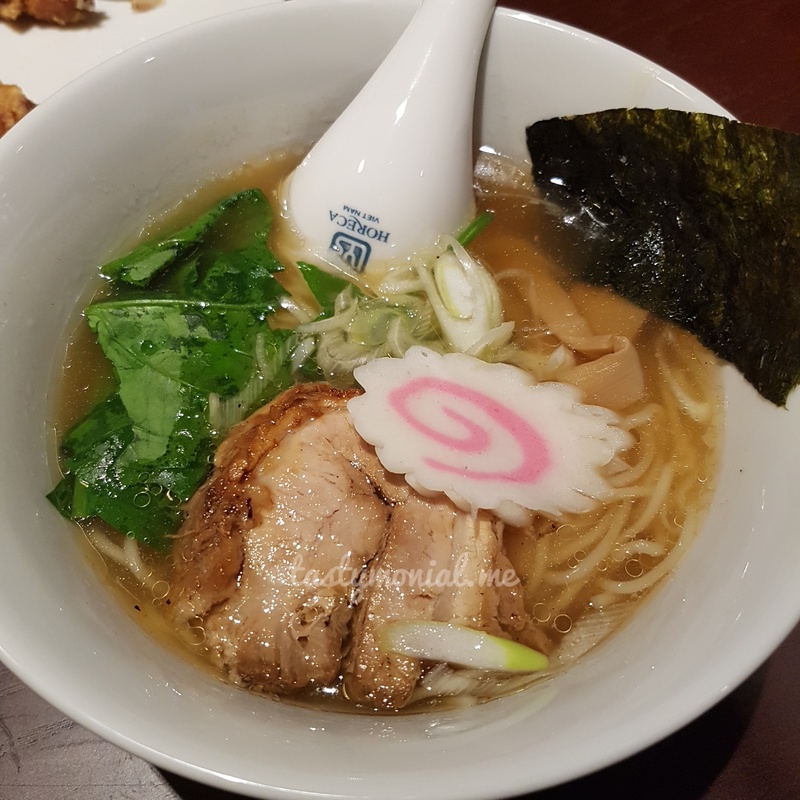 Ramen Bar Masamune – new in Saigon! There is a new ramen place in Le Thanh Ton street, at intersection with Thai Van Lung street. I don’t know the number but I’m sure you won’t miss it when you pass by. The place looks fancy from outside, and it is also fancy inside for a ramen place. Their ramen is different style than Ramen Danbo. They have a clear soup and the flavours are only shio or shoyu (and the special one. I ordered shoyu ramen, while my husband ordered shio ramen. We also ordered fried chicken. It was pretty good I must say. Crispy outside and juicy inside. The taste was delicious as well. This is shoyu ramen. Their broth is not as rich as tonkotsu ramen but still delicious. It was refreshing to eat different type of ramen. The noodle was cooked nicely. We loved their texture that was a little bit chewy but soft as well. One thing bothered me was the smokey smell from the pork. It was really strong that the whole soup tasted smokey. But we both agreed that this smokey pork is the best pork meat on ramen so far! The ramen was 120k vnd per portion. And fried chicken was 110k vnd. The price quite high between ramen places in Ho chi Minh City. 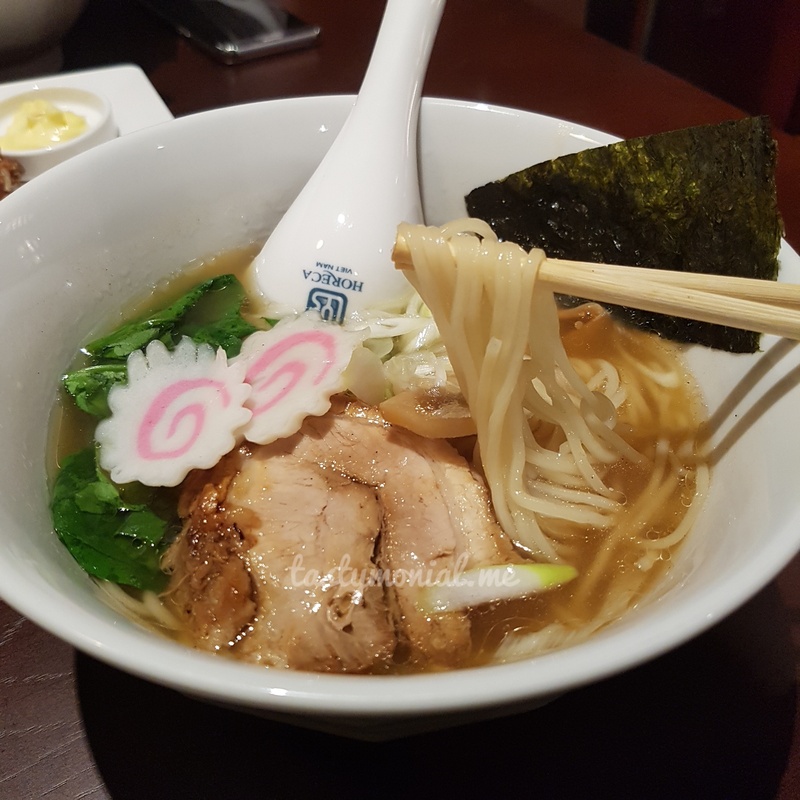 It is a good change though from the tonkotsu style ramen.